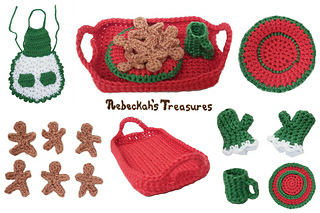 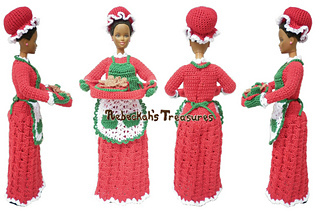 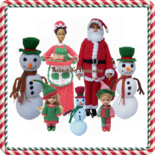 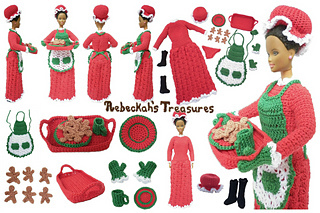 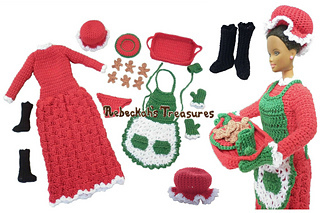 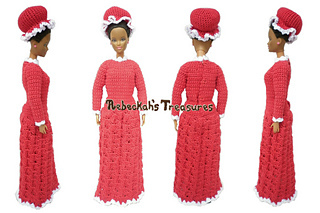 This crochet pattern will help get your Mrs. Claus fashion doll ready to help Santa stay in Christmas Spirit this season with her delectable gingerbread cookies, and warming hot cocoa! 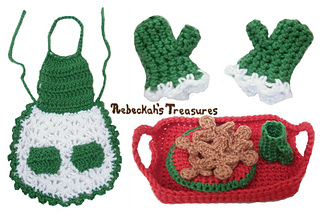 Pattern includes written instructions on how to crochet each of the pieces pictured in the photos to the left. 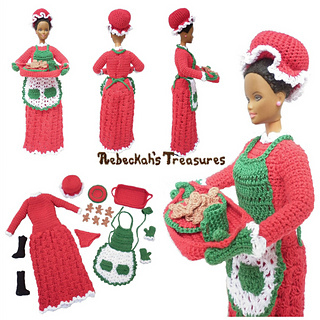 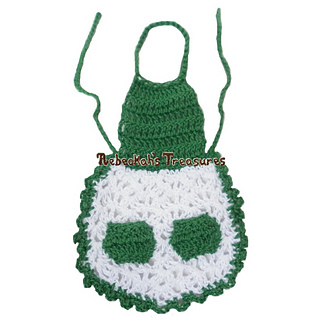 She is really easy to crochet, and before you know it, she will be warming your heart! 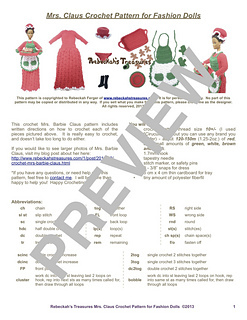 This pattern has 5 pages, and is in a PDF format.